← The pilot did it, my dear Watson @Who keyed in the fateful commands on MH370? After more than a week, chances of finding any survivors are virtually nil though Malaysia’s Transport Minister, by some twisted logic, had raasied false hopes. 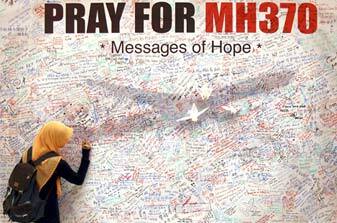 Search for missing Malaysian jet spans Asia, but investigation shows little progress – Hindustan Times.